At Tagi, Stacey still wanted to get rid of Rudy and tried to create a girl alliance, but Sue chose not to. Rich proves his worth using the spear they won to catch several fish. Greg and Colleen find a mud pit for Pagong to play in. Dirk and Sean are still trying to fish instead of working at camp. Sue says it's a waste of time. At Pagong, people feel vulnerable as their tribe gets smaller. Greg and Colleen have interesting sleeping arrangements. Both tribes are thinking about the merge. Tagi, down a number, are worried. Rich decides to wear his birthday suit. At Pagong, Joel feels confident but Colleen is wary they could still lose someone. Gervase and Joel offend the girls. Pagong and Tagi merge into one tribe called Rattana. The Tagi 4 enter the merger strong, whereas Pagong (and Sean) are a little more disorganized. A new form of immunity is introduced to the game. The remaining members of the former Pagong feel vulnerable after the alliance voted out Gretchen. Jenna tries to develop an all-girl alliance, bonding with Kelly and Sue. Rich worries about who voted for him at Tribal Council. While Rich is fishing, the others begin to realize that nobody votes him out because he provides. He celebrates turning 39 in his birthday suit, which bothers the girls. The alliance continues to piggyback Sean's alphabet voting strategy. The Tagi alliance is worried about Kelly, who didn't vote how she was supposed to at the last Tribal Council. They think about replacing Kelly with Sean. One of the castaways gets pleasant news from home. The game is taking it's toll on everyone. The alliance plans to blindside Kelly after her actions in the past week. Sean gets a surprise visit from a loved one. A Tagi member is finally going to be voted out. Kelly and Sean feel vulnerable. Rich conspires to get rid of Kelly, whilst Kelly explains how she doesn't trust Rich. Sue and Kelly have a massive fight. The final 4 reflect on how the game has affected them and how they and the others chose to play. 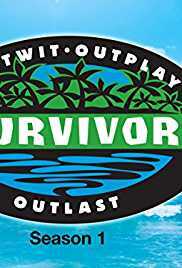 Richard, Rudy, and Sue plan to vote out Kelly - if she doesn't win immunity. In the end, only one will remain with the title of Sole Survivor. Bryant Gumbel speaks with the 16 castaways in a reunion following the season finale. 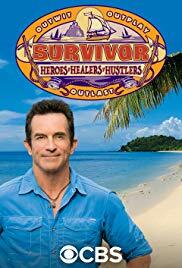 Jeff Probst tells us that Survivor will be back - in the Outback.